Above: Almost the entire cast got back together for one final and very special performance in the series finale of “Glee.” Stock Photos. Now that a few weeks have passed since the emotional ending of “Glee,” it is time to look back at the top songs from the series. In season three, Mercedes (Amber Riley), Santana (Naya Rivera) and Brittany (Heather Morris) broke off from the main glee club, New Directions, and formed The Troubletones. This song was performed as a mash-off against New Directions and the ladies killed in with this intense Adele mash-up. It was also the 300th song performed throughout the course of the show. Mash-ups became very popular on the show throughout the years, but this was the one that started it all. This Bon Jovi/Usher mix was sang by the men of the original glee club in season one. While this mash-up, and the one the girls did to face off with it, were very short, it set the bar for all future mash-ups. In season two, Blaine Anderson (Darren Criss) appeared on the show for the first time and instantly became a fan favorite. It’s not hard to understand why as Blaine burst onto the scene singing this Katy Perry song. Blaine and Kurt (Chris Colfer) soon became the favorite couple of the show and this song was reprised several seasons later as an acoustic piano version that was completely new and emotional. The final song of the show ended up being one of the most emotional. In a flash forward to 2020, Sue Sylvester (Jane Lynch) dedicated the McKinley High theater to the late Finn Hudson (Cory Monteith). For the first performance on Finn’s stage, every single person who had been part of New Directions over the years – except for two – came back to the stage to perform this OneRepublic song. It ended up being the perfect way to end the series. This Journey song ended the pilot episode and set up the series for major success. Over the course of six seasons, this song was covered six times in multiple ways. Perhaps the best thing that the show runners did was use this song in the second to last episode, “2009,” in its original content. When Cory Monteith appeared as Finn singing this song again with Lea Michele’s Rachel, it showed not just how special he was, but how special the show was. 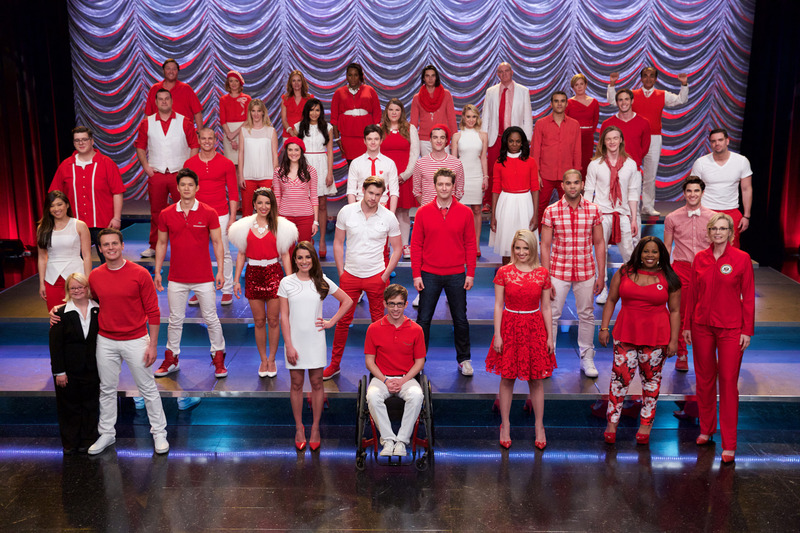 “Glee” was a big part of many peoples lives and it will continue to hold a place in hearts for years to come.